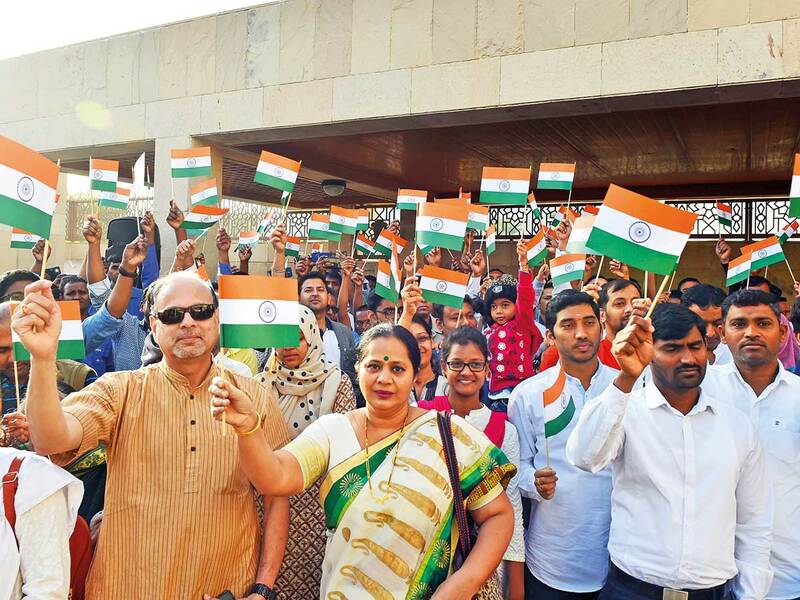 Abu Dhabi: Thousands of Indian residents gathered in the capital on January 26 to mark the country’s 70th Republic Day with pomp and gaiety. 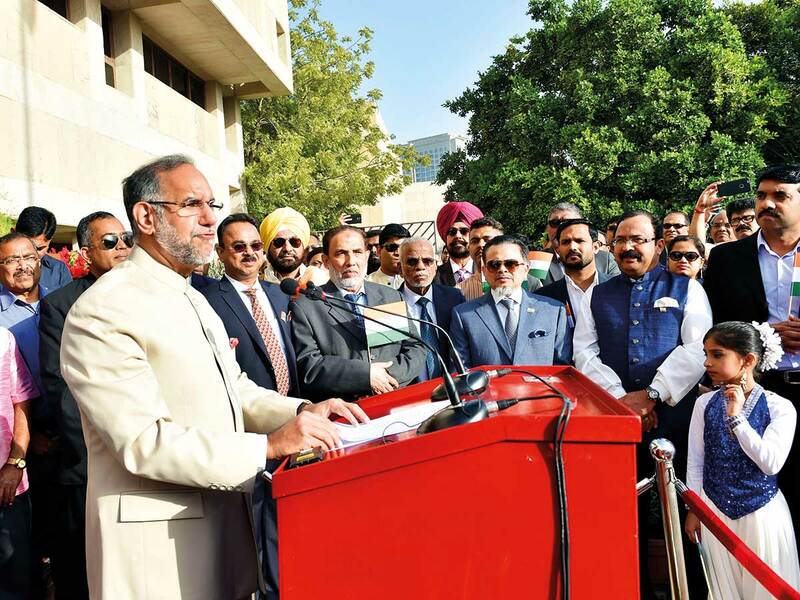 Amid festivities, Indian Ambassador to the UAE, Navdeep Singh Suri, urged Indian expats to be examples of tolerance as the UAE marks the Year of Tolerance in 2019. “This is UAE’s year of tolerance, and tolerance is a value that is embedded in our heritage. It means we show respect even to those who are different from us in their ethnicity, their origins and their beliefs,” Suri said. This year, the Indian mission will also mark Mahatma Gandhi’s 150th birth anniversary with a host of activities. 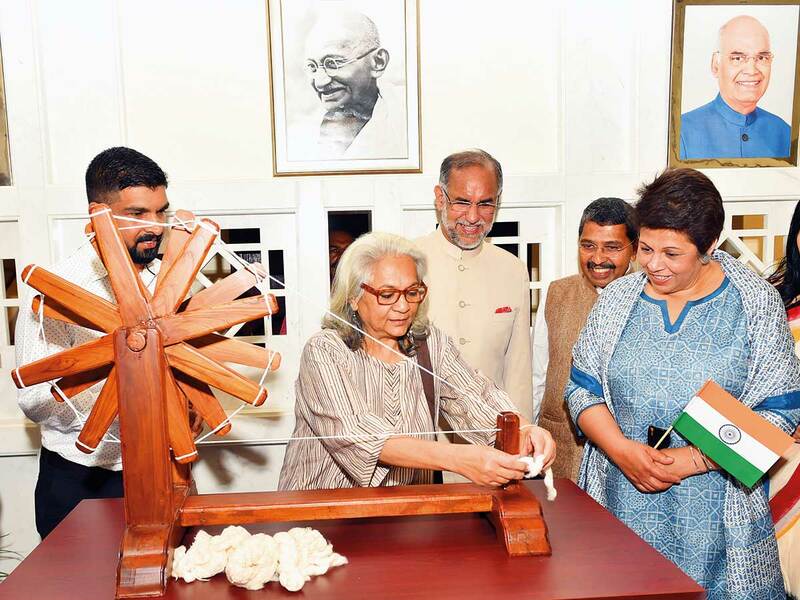 After the flag hoisting, a spinning wheel that will adorn the embassy’s reception was presented to the mission by V.T.V. Damodaran, president of the community organisation, Gandhi Sahitya Vedi. Schoolchildren then put up a colourful performance to a rapt audience. Addressing the gathering, the ambassador also urged workers of the Indian community to approach the mission early with their concerns. “The relationship between the UAE and India has never been stronger, and I take pride in this. I urge our countrymen to approach the embassy whenever they face any hurdles as a community,” Suri said. “I would also like to mention a recent case in which we worked to resolve the concerns of 117 workers who had not been paid for six months. We worked tirelessly to seek a solution for them, and I want to urge you all to come to us early whenever you face non-payment of dues. You have rights and we are your mission, so why wait for six months,” he added. Students from the Gems United Indian School sang the national anthem after the flag hoisting. Suri also read out the president’s address on the occasion, which urged Indians to take up their duty of voting in the country’s general elections this year. A total of 3.3 million Indians are known to reside in the UAE. “I am proud of the relationship between India and the UAE. No less than four UAE ministers will have visited India by the end of this month, and today, seven prominent buildings will display the Indian tricolor on the occasion of Republic Day. 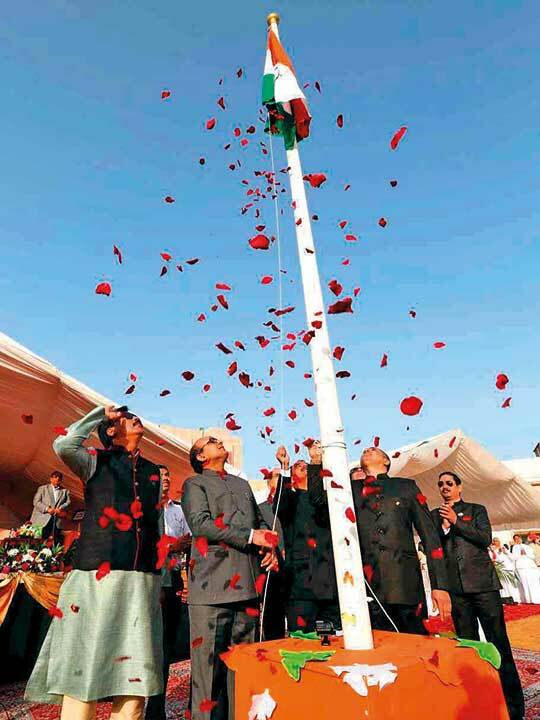 This rare, spontaneous gesture is a mark of the bond between the two countries,” Suri said. 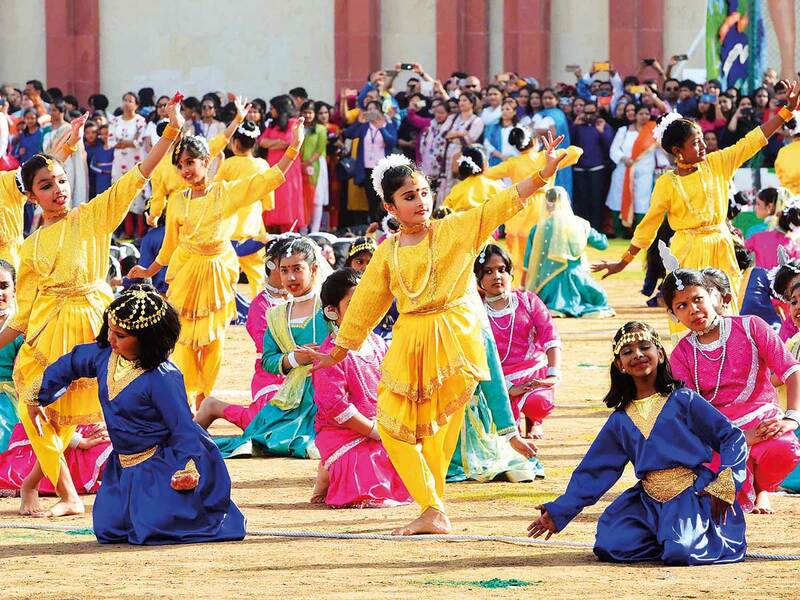 Abu Dhabi Indian School Muroor, the biggest Indian school in the capital, also organised a special function. “On the occasion of the 70th Republic Day of Indian, we have organised a grand function to highlight Gandhiji’s 150th birth anniversary, and the UAE’s Year of Tolerance. 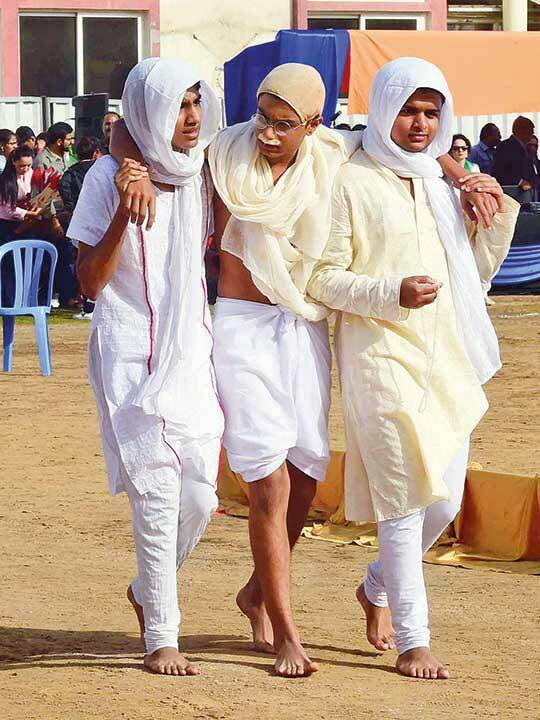 [The aim was to] spread messages of brotherhood, unity in diversity and women’s empowerment, with the participation of 900 students, teachers and parents,” said Neeraj Bhargava, principal at the school. “I am really excited and proud to be here, especially as I miss being able to mark Republic Day at home. When we were young, the occasion meant a raft of patriotic activities, in addition a number of school-based competitions.